After a rough road since its IPO, Snap (NYSE:SNAP) has rallied sharply in 2019. Among stocks with a $10 billion market capitalization or higher, no stock has outperformed the 115% gain in Snap stock (sometimes referred to as Snapchat stock). In fact, no stock really has come close: StoneCo (NASDAQ:STNE) is in second place with a 95% rise. The gains make some sense. SNAP was trading just off all-time lows heading into the year. Q4 earnings in February were strong – even though I didn’t think they were quite as strong as the market seemed to. More broadly, there’s a simple reason investors are flocking back to Snap stock: there’s a hope that the company is getting better, and can continue to do so. That hope is logical. The question is whether, at this point, it’s priced in. From a qualitative standpoint, the case for SNAP stock seems pretty simple: the company is starting to execute. A new Android app finally has arrived after a messy redesign faltered back in 2017-2018. A new gaming offering could drive revenue. Snapchat is showing some strength in augmented reality. Snap management – perhaps for the first time since the IPO – seems like it’s on top of the business. From a quantitative standpoint, the case is similarly clear. Snapchat is better monetizing its users, and has plenty of room to continue to improve on that front. As I pointed out after Q4, revenue rose 36% on a flat user base. And as RBC Capital Markets analyst Mark Mahaney noted this month, Snap’s monetization is one-third that of Twitter (NYSE:TWTR) and one-fifth that of Facebook (NASDAQ:FB). As Snapchat becomes more attractive to advertisers, Snap’s revenue can continue to grow to the point that it can leverage operating expenses. That’s particularly true overseas. According to the 10-K, Snap’s average revenue per user per quarter (ARPU) last year was was $3.38 in the U.S. ARPU in Europe was just $1.04, and in the rest of the world $1.24. As Snap builds out its international presence, and salesforce, international revenues should grow. Getting overseas ARPU simply to current U.S. levels would add roughly 70% to the current revenue base on its own. And so the potential here is obvious. Revenue can continue to soar which should mean, at some point, Snap can become profitable. Certainly, the news seems better for Snap. But SNAP stock also now has rallied 146% from those December lows. Valuation is again huge: even backing out cash, Snap is worth over $13 billion – or more than 8x 2019 revenue estimates. Meanwhile, profitability is a long, long way off. Adjusted EBITDA was a loss of $575 million in 2018. Q1 guidance is for only a ~$65 million improvement at the midpoint. Snap likely won’t be EBITDA profitable until 2021. Real free cash flow (even allowing for the company’s hefty share-based compensation) probably doesn’t arrive until 2023. And that’s if all goes well. Recent history shows that’s still a big “if.” Facebook still is targeting the platform with its Instagram Stories. Daily active users still have stalled out. 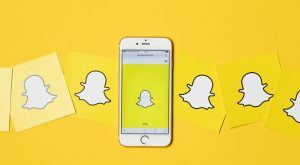 Snap still is competing with not only Twitter, Instagram and Facebook, but behemoth Alphabet (NASDAQ:GOOG,GOOGL) and now Amazon.com (NASDAQ:AMZN) for online advertising dollars. The optimism toward Snap stock makes some sense. But the valuation is hardly cheap or even close to cheap. Monetization and execution well might improve, indeed, they’re doing so already. But at 8x revenue, and with profits years away, Snap probably needs more to keep this rally going. Article printed from InvestorPlace Media, https://investorplace.com/2019/04/bull-case-snap-stock-sense/.